Dr. Rochelle Manor is co-owner and Neuropsychologist at BRAINS. Dr. Manor founded BRAINS in 2007, with partner Dr. Michael Wolff, to provide behavioral resources and neuropsychological services to the West Michigan community. Growing up in a family of educators, physicians, and nurses, Dr. Manor learned a lot about the brain-body connection and how fragile humans are. With three generations of disabilities, Dr. Manor’s family legacy includes helping everyone – of all abilities – to learn and be as healthy as possible. 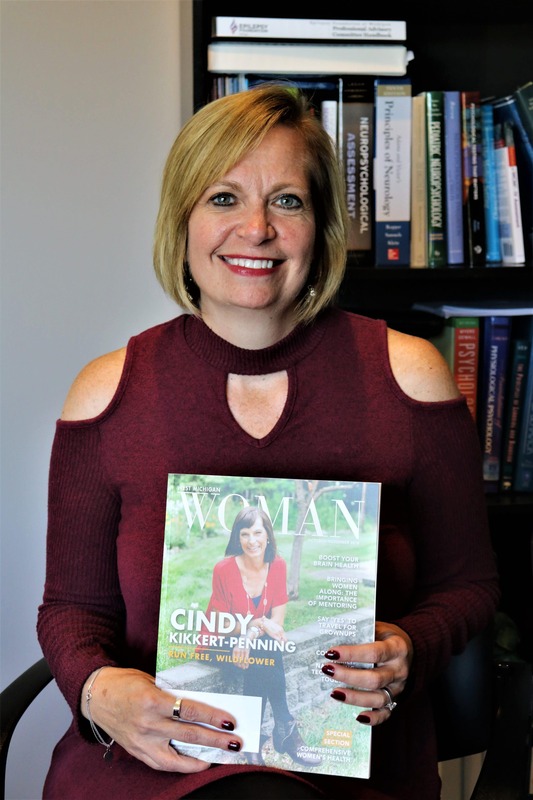 Read Dr. Manor’s interview with Kirestin Morello in the October/November issue of West Michigan Women. Our brain, magical organ though it is, behaves a bit like the rest of us: It’s at its best when we treat it well. “Brain health is taking care of your brain so that it can help you to function,” said Rochelle Manor, Ph.D., Neuropsychologist and co-owner of Brains in Grand Rapids. How on earth do we take care of our brain? Many ways we care for ourselves physically also contribute to a healthy brain. Exercise, sleep, nutrition and stress are the four biggies—but managing stress is key. “If you don’t manage your stress, it impacts your ability to take care of yourself in the other three dimensions,” Dr. Manor said. Continue Reading Boost Your Brain Health on West Michigan Woman.com.